The Niro is a great gas/electric hybrid sedan, saving you money and helping the environment. It is roomy and comfortable with a hatchback door and folding seats to increase its versatility. This Niro has duel zone A/C plus a driver only fan button to maximize the comfort of the passengers. It also has heated seats, backup camera, roof racks, UVO, and more to enhance your driving experience. 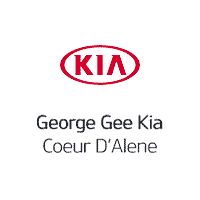 George Gee Cadillac Kia's mission is to ensure all our customers have a positive auto buying experience and are completely satisfied with their new vehicle. Thanks for checking out our vehicle online. Please come and visit us at 317 West Dalton Ave, Coeur d'Alene, ID or give us a call at (208) 667-7416. - Free Lifetime Warranty is valid only on New and Used Vehicles with less than 100,000 miles and 5 Years Old or Newer. Valid exclusively at George Gee Cadillac Gee Coeur d'Alene See dealer for full details and exclusions.